Bijoy Jain was born in Mumbai, India in 1965. In his pursuit for education he travelled to the United States to gain his Master of Architecture from Washington University in 1990 and, following the completion of his studies, went on to work under prominent abstract artist and architect Richard Meier. He worked in Los Angeles and London between 1989 and 1995 and returned to India in 1995 to found his practice, Studio Mumbai. Studio Mumbai’s celebrated projects include Copper House II, Palmyra House, Ahmedabad House and Saat Rasta. Bijoy Jain’s work stands at the vanguard of the handmade architecture movement, and has been exhibited at the Venice Architecture Biennale and the Victoria and Albert Museum, London. He was recently awarded the Grande Medaille d’Or from the Academie D’Architecture in Paris in 2014. 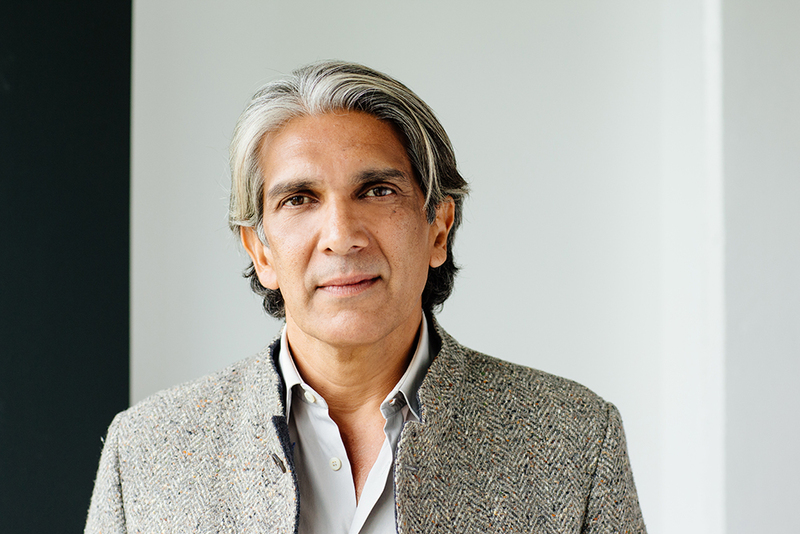 Bijoy Jain is the architect for MPavilion 2016/17.